HERS stands for Home Energy Rating. 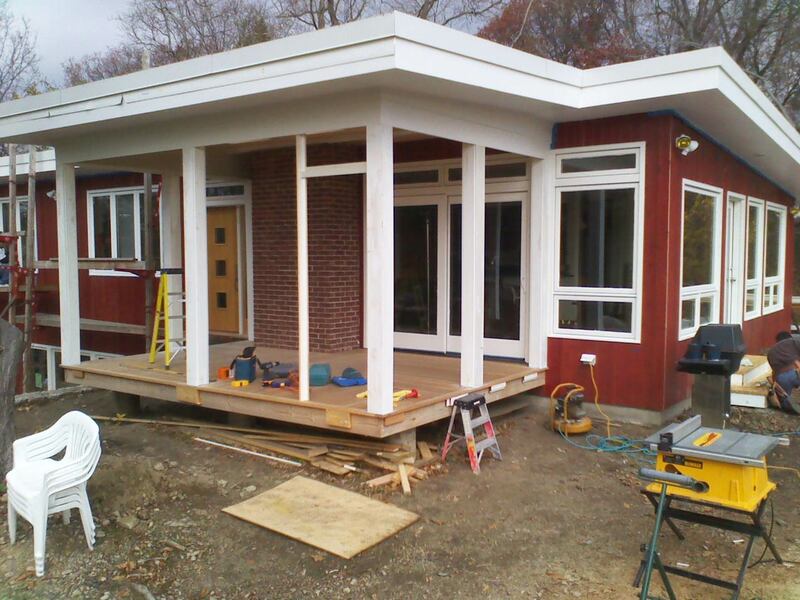 This house will use approximately half the energy of a same sized house built to code. 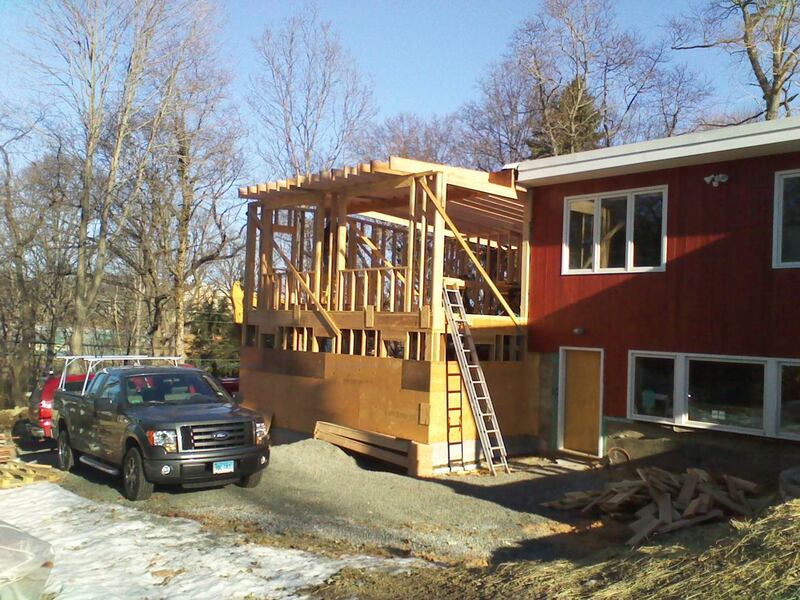 PROJECT: A whole house renovation of a mid-century modern home that includes an addition and state-of-the-art energy-efficient heating and cooling systems. 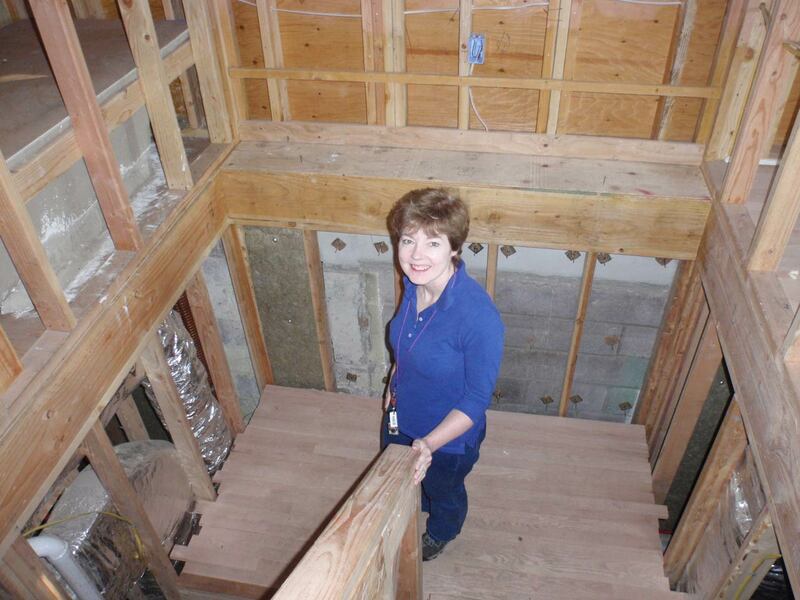 This home is on track to be LEED®, ENERGY STAR®, and NAHB Green Building certified. Originally built in 1951, it has been expanded to 2,400 square feet that includes a master suite with walk-in closet, three additional bedrooms, three full baths, a home office, laundry room, 2-1/2 car garage and a fully screened-in porch. This home in historic Village Creek has been completely renovated to meet today’s living needs and is designed to be eco-friendly and energy efficient. 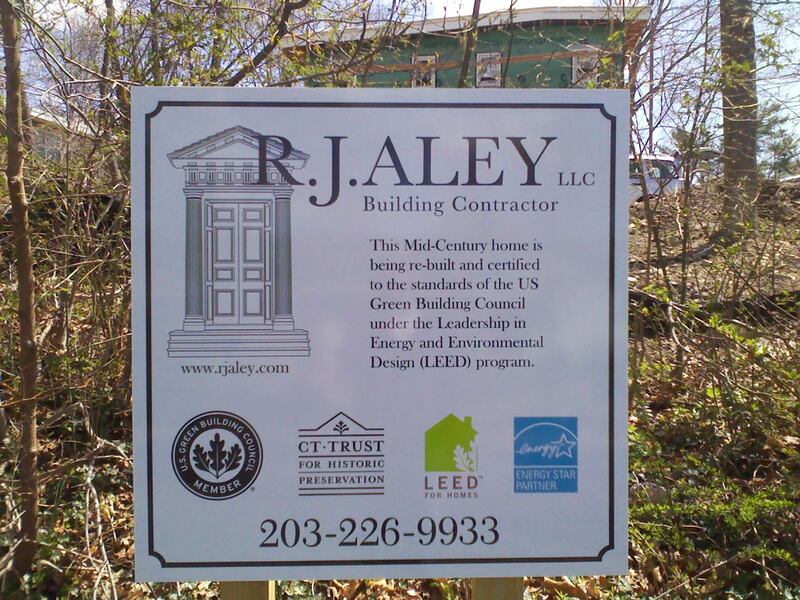 Owner Jud Aley, of R.J. Aley Building Contractor, a NAHB certified Green Builder, served as general contractor on the project. 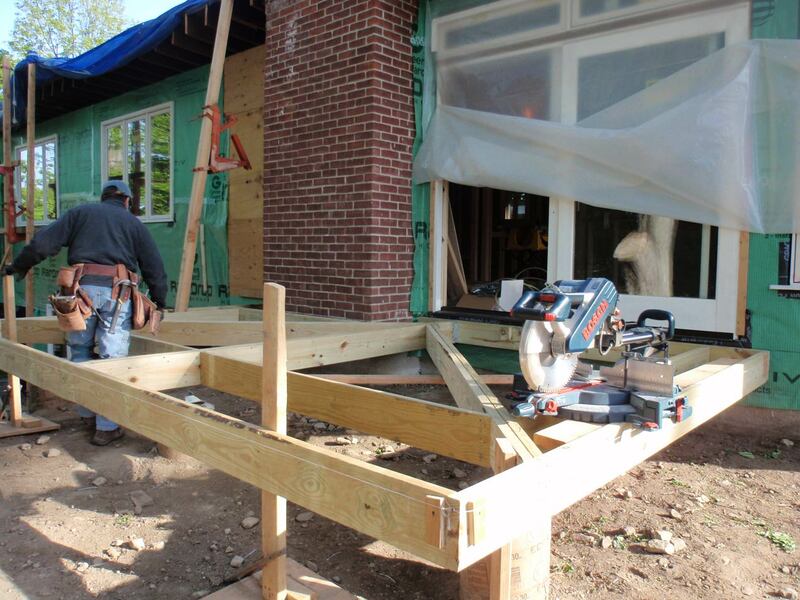 Jud’s firm specializes in historic preservation, inherently “green” due to its focus on maintaining existing buildings. 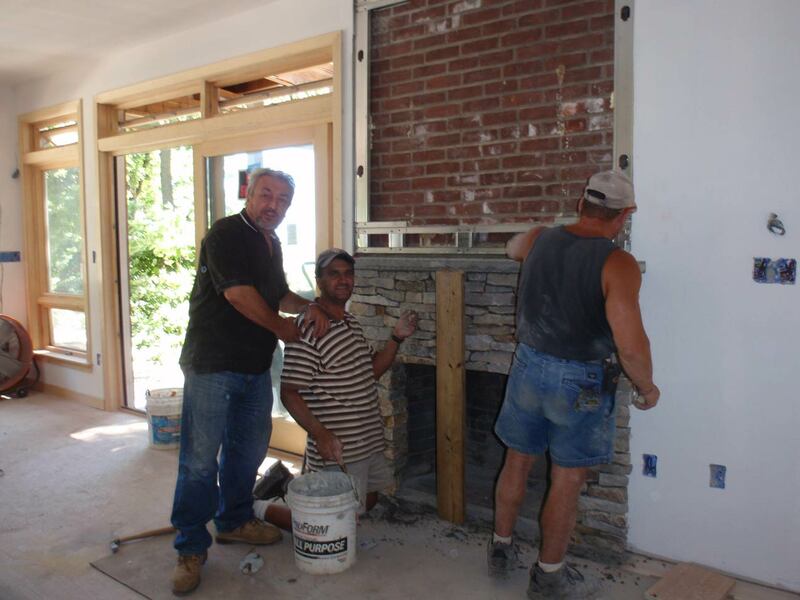 Thanks in large part to the experience gained on this project, his business has expanded to include eco-friendly or “green” building and remodeling. It has been a rewarding blend of personal and professional goals. 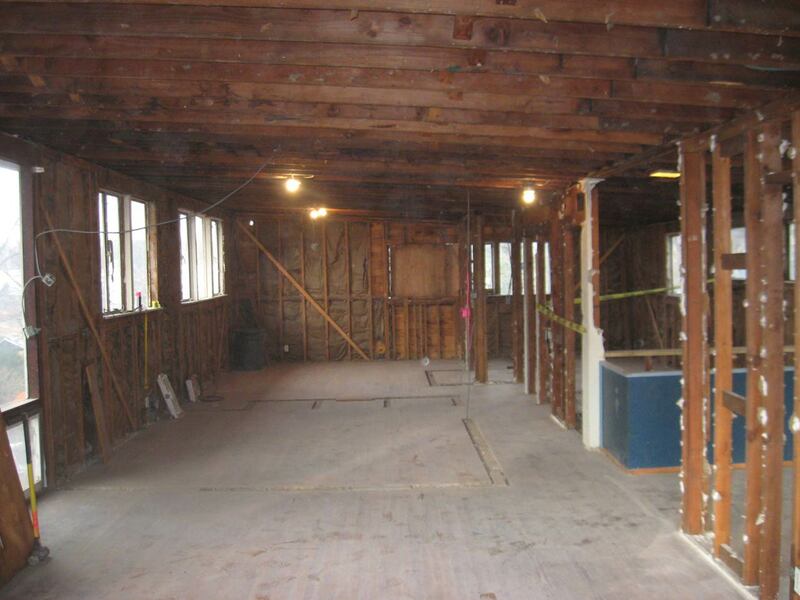 While working on his own home, Jud used as much of the original structure as possible, retaining floor, wall and roof framing whenever possible, and recycling items elsewhere. He also strove to make the home’s new addition blend seamlessly with the existing structure by maintaining the clean lines and simplicity that are hallmarks of mid-century modern architecture. Jud has lived at 21 Splitrock with his wife Maria and son Dylan since 2010. Their home and the energy efficient features have served as a laboratory and learning tool for everyone who has worked on it. Active solar relies on mechanical systems to provide heating and cooling, while passive solar relies on harvesting sunlight, wind or earth to the same ends. Passive solar features of this home include its orientation, which is within a few degrees of true south. 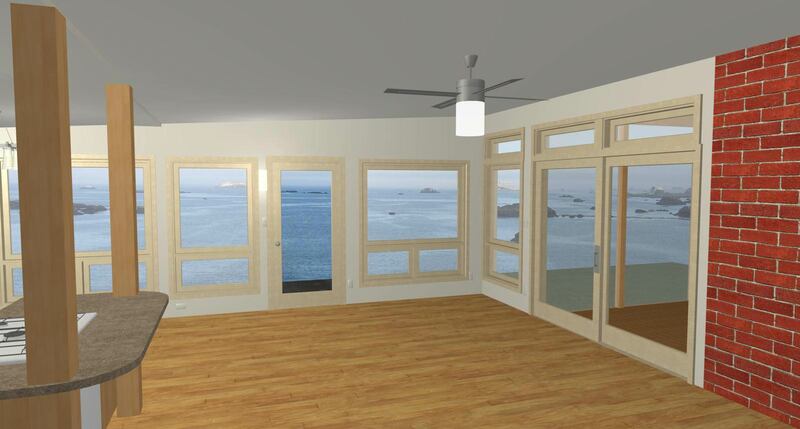 This maximizes sun exposure year-round thru the large amount of windows on the western and southern walls. The deep 24” wide overhangs help minimize heat gain in the summer when the sun is higher in the sky, but allow the sun to shine in below the overhangs in the winter when the sun is low in the sky. 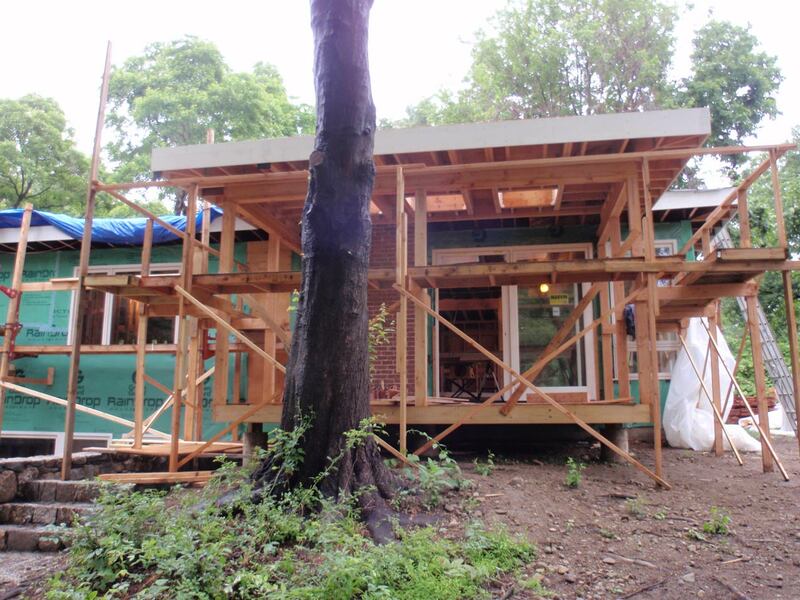 The trees and screened porch on the southwestern side of the house provide shade and reduce solar heat gain in the summer, but as with the 24” overhangs, allow winter sun in. The house has Marvin windows (purchased at Ring’s End Lumber) that feature special Cardinal LoE-179 high solar gain glass that maximizes solar heat gain in the winter. 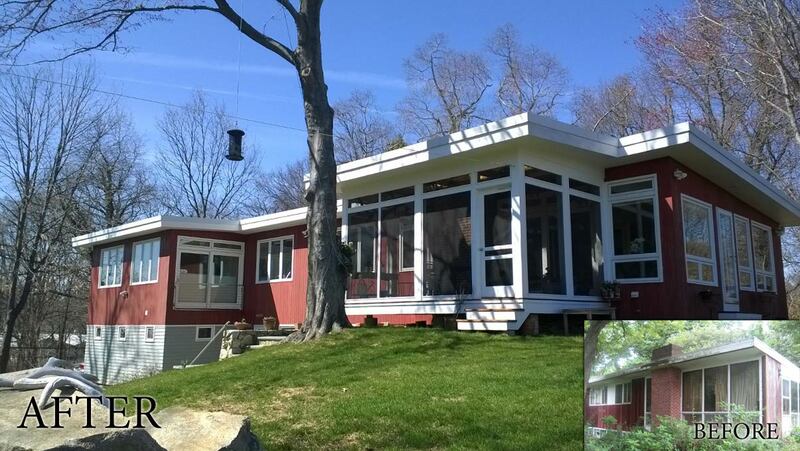 On the colder north and east sides of the house, windows were minimized to reduce heat loss. 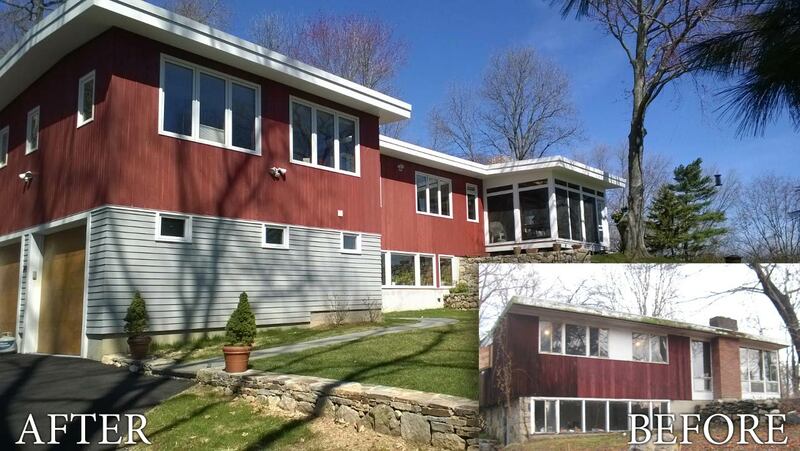 The vertical cedar siding is a renewable resource and is installed over GreenGuard® RainDrop® house wrap. GreenGuard provides a drainage plain behind the siding, allowing wind-driven moisture to easily drain away from the back of the siding, prolonging the life of the paint finish. 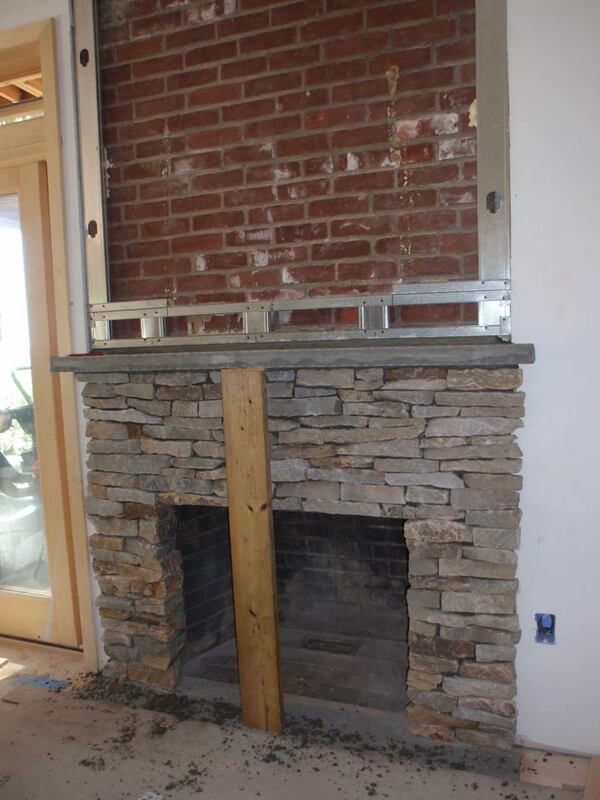 Both products were also supplied by Ring’s End Lumber. A.R.E. Roofing of Greenwich installed bright white PVC roofing on the low slope roof to help reflect the intense sunlight of summer and reduce the need for cooling. Domestic hot water and space heating are supplied by an indirect-fired gas boiler that is up to 98% efficient, in conjunction with a hot water solar panel on the roof installed by Alliance Heating and Cooling of Bridgeport, CT. Twelve evacuated solar tube collectors on the roof provide hot water for domestic use (stored in a 119-gallon super-insulated tank) and space heating. Evacuated tubes are one of the highest quality solar collectors on the market today and have the ability to generate heat throughout the winter, even on days with overcast skies and no direct sunlight. The tubes feature two layers of extremely durable borosilicate glass that maintain a vacuum layer that is a highly effective insulator. A wastewater heat recovery system transfers the heat from the drain water of the showers, bathroom sinks and washing machine to preheat the cold water coming in from the street by as much as 35 degrees before it flows into the hot water storage tank. This is heat that would otherwise be completely lost down the drain. 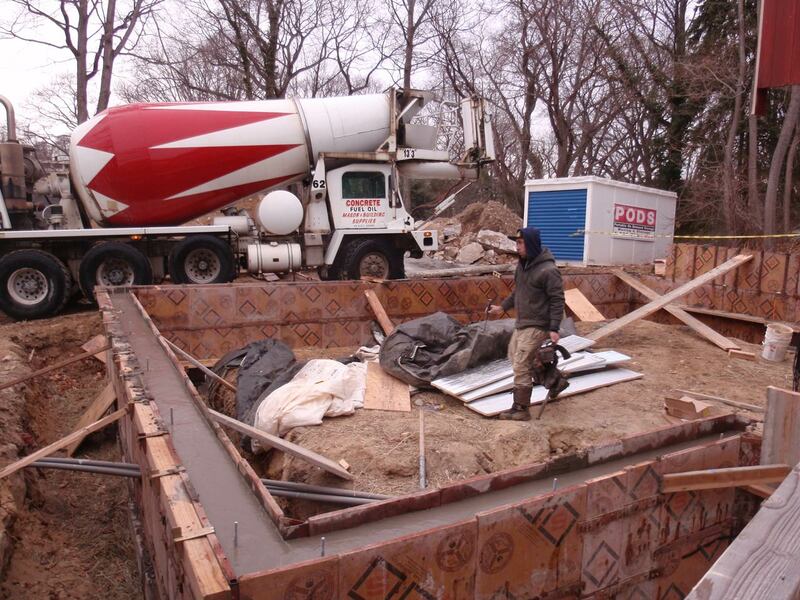 The basement is part of the finished, insulated building, and all heating and ventilation mechanical systems and sheet metal ducting are within it, maximizing efficiency. Because the building has been so successfully air-sealed, mechanical ventilation is provided by an energy efficient Heat Recovery Ventilation (HRV) system that prevents the presence of moist or stale air. In addition, a Heat Recovery Ventilator provides continuous ventilation and exhaust and completes a whole house air exchange in approximately twenty minutes. Like the wastewater system, an HRV recovers the heated (or cooled) temperature in the exhaust air to pre-treat the fresh, intake air. HVAC air handler blower fans are powered by ultra-efficient, variable speed ECM motors. This home does not have air conditioning, instead it takes advantage of its west-east orientation and strategically placed windows to allow prevailing winds to cool the house in the summer with the help of ceiling fans. 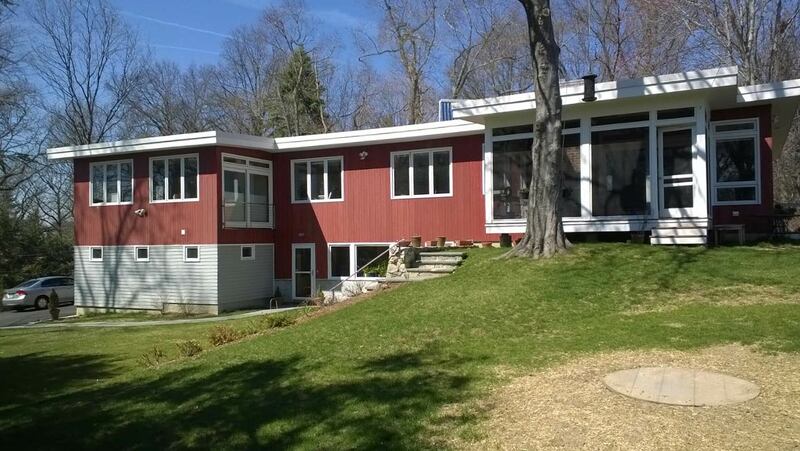 Steven Winter Assoc., of South Norwalk Ct, the LEED’s rater for this home, verified the boiler size and duct work to assure optimal energy efficiency. The house is super insulated with a combination of High R foam board, Roxul batt insulation, dense pack and damp spray cellulose insulation. Cellulose is made from recycled newsprint. It was chosen over spray foam insulation, due to its lower cost and low embodied energy (the total amount of energy required to manufacture a product). Further, spray foam is made from petroleum and the blowing agent in closed cell foam is toxic. The roof is 13” thick and has 10” of dense pack cellulose insulation in the rafter bays and 3” of high-R foil face foam board insulation on the roof deck. 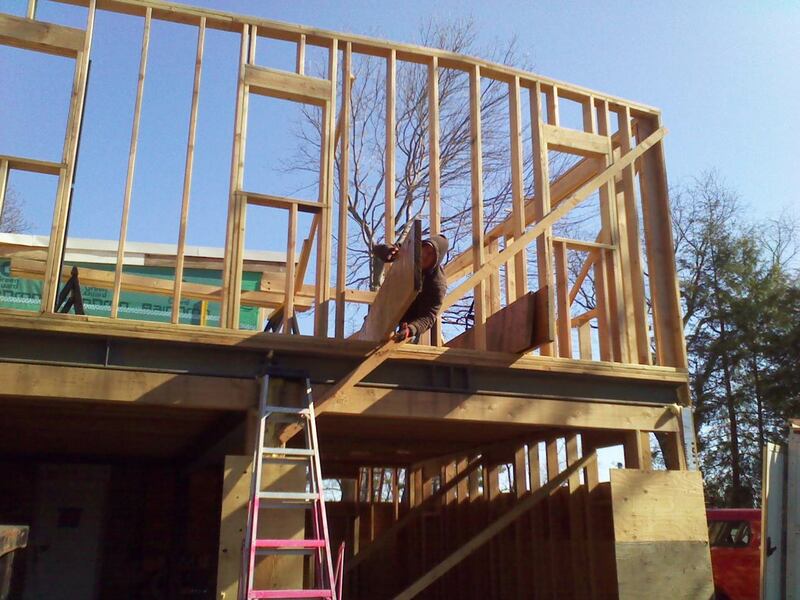 Overall, the roof assembly has an R-value of R-52, which is well above the recommended guidelines for this zone. 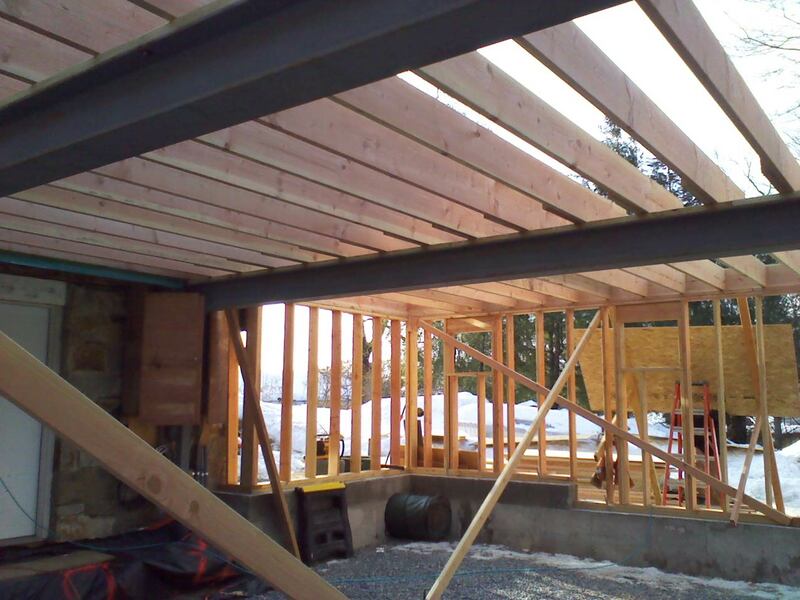 The above-grade walls are framed with 2x6s and have additional 1x3 horizontal strapping to eliminate most thermal breaks and allow more room for insulation. 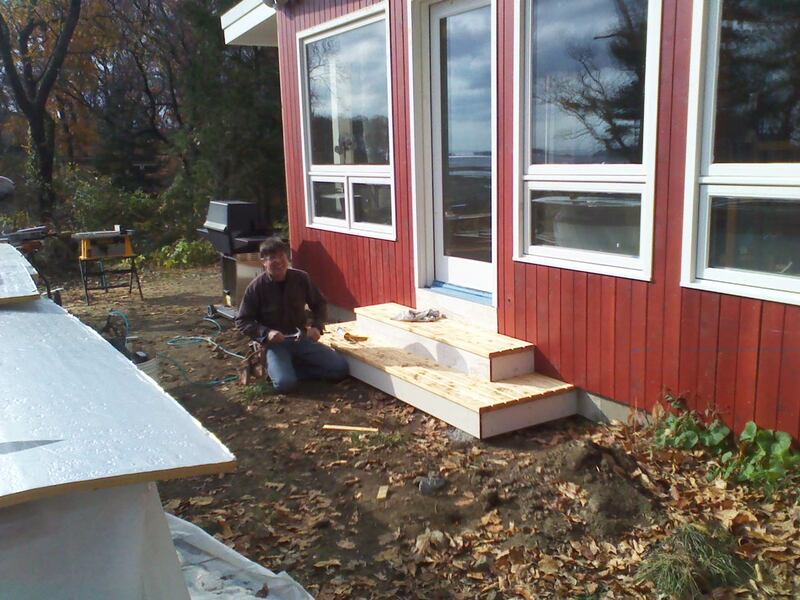 The new slab for the garage addition is insulated from the ground below using 2” of foam board insulation. The basement slab in the existing structure was covered with a 1” layer of foam board insulation and topped by a 1” plywood subfloor. 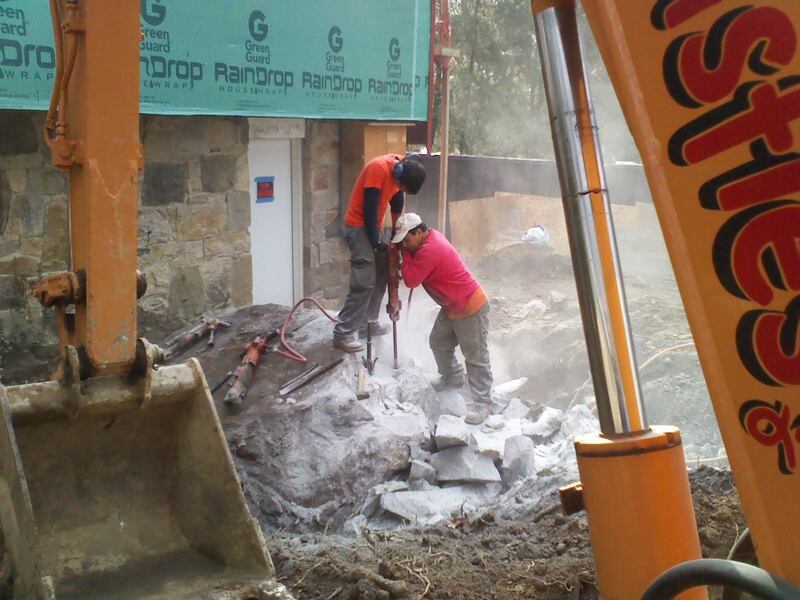 PLUMBING CONTRACTOR: Unlimited Plumbing of Derby Ct. This home features low flow water fixtures including dual flush toilets. The main domestic hot water supply is provided by the solar panels with a 98% efficient LP gas boiler as a backup system. Most light fixtures and appliances are ENERGY STAR® certified and compact fluorescent light bulbs (CFLs) and Light-Emitting Diode (LED) bulbs are used throughout the home. For more information on any of the features mentioned here, or to learn how you can make your own home more energy efficient and environmentally friendly, contact Jud Aley at (203) 226-9933. 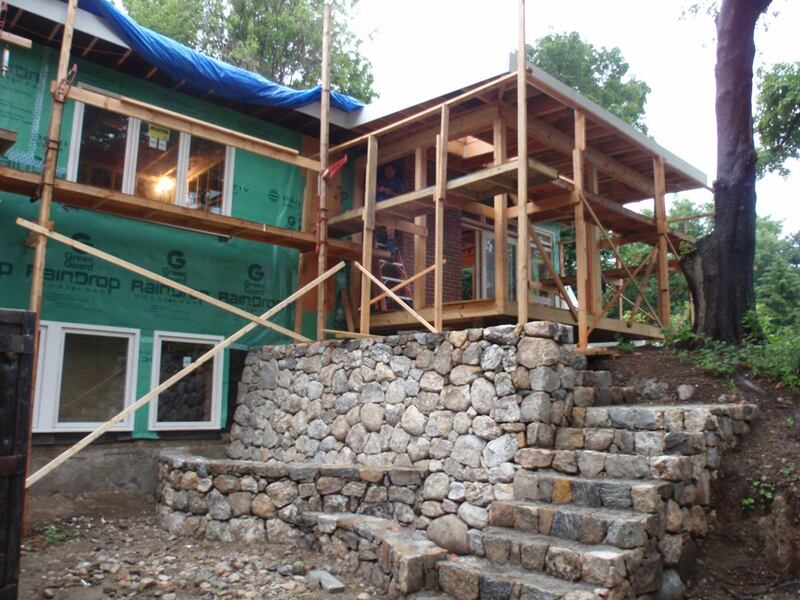 Green Building for New and Existing Homes; Additions, Kitchens, and Baths; and Green Historic Restorations.